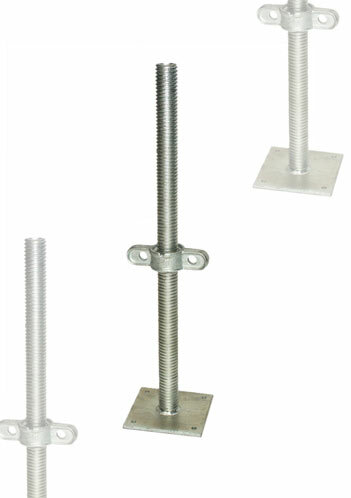 The SCP 4TPI Base Jack is the traditional levelling solution for all types of System Scaffolding. 4TPI Base Jack are manufactured from high grade 5mm tube which ensures the safe working load of 6 tonnes is comfortably achieved. 4TPI Base Jacks are roll threaded. Independent Test Certificates are available upon request. All SCP Jacks are manufactured in accordance with our ISO 9001:2000 quality system accreditation. Safe working load: 6000kg (concentric loading).